SHANGHAI, China – China’s e-bike export increased by 6.5% between January to October 2012. The country’s vast industry is slowly but surely switching to e-bikes that are powered by lithium batteries. China’s expanding e-bike export is almost exclusively targeted at Europe. 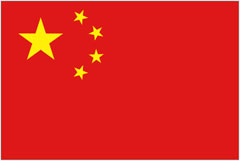 From January to October in 2012, China exported 560,000 e-bikes compared with 526,000 units in the same period of 2011. 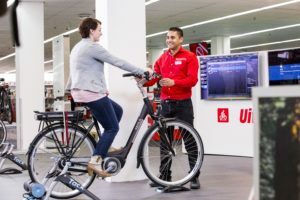 With 60,000 units the Netherlands has surpassed Germany and became the Top-1 e-bike export country from January to October in 2012, followed by US (50,000 units) and Germany (close to 50,000 units). 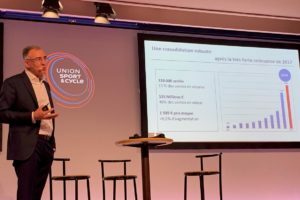 In 2011, out of the 30 million e-bikes produced in China, 2.5% are powered by lithium batteries, an increase of 62.5% compared with 2010, among which 350,000 are sold in China and 400,000 are exported overseas, mostly to Europe with Germany and Holland being the top two export destinations. Last year, significant investments were made in lithium e-bike development and manufacturing in China. In January through September of 2012, Tianjin, the largest e-bike production base in China, produced 9,350,000 e-bikes in total, out of which over 300,000 were lithium ones. Both numbers have increased compared with 2011. It is expected that in 2015, lithium e-bikes will account for 20% -30% of the total e-bike market in China, creating 6 billion to 9 billion RMB (1,068 million euro) in value and bringing over 15% increase in the entire lithium battery market. In 2012, there were around 1,200 companies with an e-bike manufacturing license in China. 100 companies have a production capacity of more than 50,000 units. The top four companies namely, Aima, Yadea, Xinri, Lvyuan take up more than 30% of the total market share. It is estimated that in 2013, the total market share of the top five brands will reach 45%. At present, less than 200 companies produce lithium e-bikes. Most of them have an annual production of less than 20,000 units. Back in 2005, Tianjin Meilixing was the only e-bike company that focused on lithium battery e-bikes. In 2011, Geoby was the top 1 lithium e-bike manufacturer in China with domestic sales of 60,000 units, followed by Giant, Cosbike, Kexun, XDS, Meilixing, Active, Rununion, Battle and Furi. In September 2012, there were 393 lithium battery manufacturers in China with 276 Chinese enterprises (70.23%), 59 Hongkong, Macao, and Taiwan invested enterprises (15.01%) and 58 foreign invested enterprises (14.76%). Out of the 393 manufacturers, around 70 made power lithium batteries. In majority, 70% of the investment went to cell material and manufacturing and 30% went to battery pack development and assembly. However, the market feedback indicates that 80% of the battery failure in e-bikes was caused by battery assembly. Most of the battery manufacturers are not aware of this. 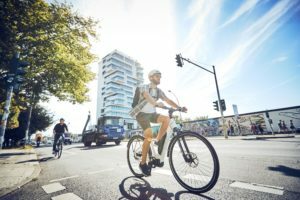 Starting from June 1, 2013, China will start implementing “E-bike Lithium-ion Battery Specs and Sizes”, which aims to improve the compatibility, quality and safety of the lithium batteries used externally on non-folding e-bikes through standardizing their size, rated voltage, installation method, charging and discharging ports. 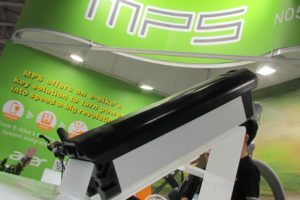 It is expected that the new standard will play a very active role in reducing manufacturing cost, improving after-sales service and building more confidence in both dealers and consumers for lithium e-bikes. 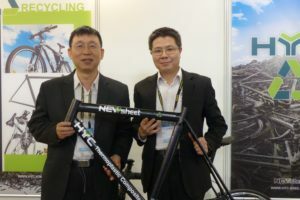 In 2012, Chinese bike and e-bike companies started to invest more in technology, quality and people than in production capacity and dealer network. SME usually invest 1 – 3 million RMB (360,000 euro) in technology and larger companies usually invest around 10 million RMB (1,2 million euro). There has also been a strong trend in developing and producing high-end products. In Tianjin, middle to high-end bike and e-bike products account for 25%-30% of the capacity of large companies and 15% of that of the SMEs in 2012. An outstanding example in technology innovation and quality improvement was Yadea’s strategic partnership with Bosch, incorporating controller of automotive technology and manufacturing into their product lines, offering consumers 18- month warranty, 15% more range, 13% more power and 180-day longer battery life. Vivian Wei is Managing Director of eCycleElectric and Professional LEV Consulting.